Looking for fresh apps for your iDevice? We’ve found 102 great iPhone and iPad apps that were released over the last 24 hours. 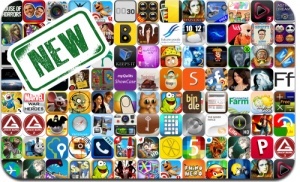 This new apps alert includes Save Them All, Sir Death, Stupid Zombies 2, Speed Boat Race for Life, Tap the Frog, Take It Easy, Zombie Swipeout, Pocket Clothier, Jumping Finn Turbo, Marvel War of Heroes, Trade Mania, Ragdoll Blaster 3, and many others. For real-time app info, check out our Real-Time Deals section, as well as our Top App Charts and Top 5 Matrix. Wonder Zoo – Animal rescue !